I'm glad to see so many Red Hat partners at Red Hat Summit this week, including Cisco and NetApp. Red Hat has been collaborating closely with NetApp on enhancements to OpenStack, and integrating features and functions with Red Hat Enterprise Linux OpenStack Platform. Designing a highly available OpenStack deployment reference architecture using the Red Hat Enterprise Linux OpenStack Platform integration with NetApp’s clustered Data ONTAP to help organizations build easily managed, scalable, reliable, and interoperable private and hybrid clouds. Collaborating on the OpenStack Manila shared file systems service project, to address advanced enterprise distributed datacenter requirements. 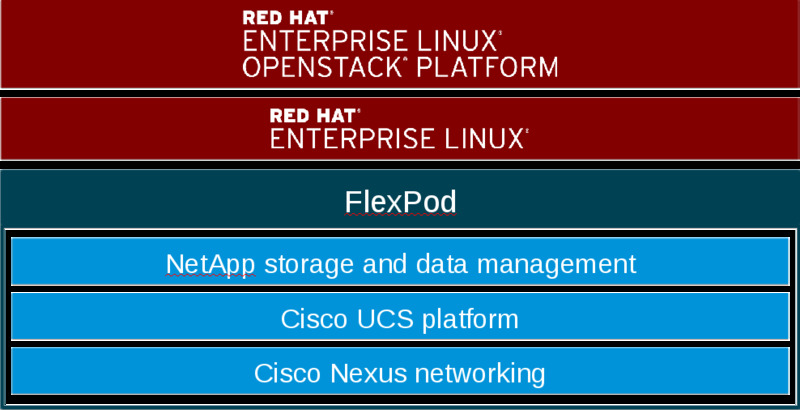 What is even more interesting is how Red Hat, NetApp and Cisco are teaming to build a forthcoming Cisco Validated Design (CVD) for Red Hat Enterprise Linux OpenStack Platform on FlexPod Datacenter. The combined cloud-ready enterprise-grade integrated infrastructure solution provides significant value by delivering simplified deployment, enabling faster booting of instances, more rapid volume creation and greater overall scalability, as well as speeding up cloud deployment while reducing risk. By co-engineering OpenStack solutions together, end customers benefit from a flexible, open, integrated foundation for enterprise-grade OpenStack cloud environments. It is great to be working together with NetApp and Cisco to contribute advanced innovation to the OpenStack open source community. We continue to appreciate NetApp's leadership in delivering enterprise storage and data management capabilities, and Cisco’s number one position as a provider of cloud infrastructure. When combined with Red Hat Enterprise Linux OpenStack Platform, FlexPod delivers an enterprise-grade open hybrid cloud foundation that is secure, reliable, fast to deploy, and simple to manage, enabling IT organizations to transform to cloud with confidence.